Curbside pick-up: You no longer need to remove objects from your tree if you don't want to. Whole Christmas trees can be placed curbside with your regular trash and will be collected for use in the city's bioreactor landfill. In the bioreactor, liquid is added to accelerate the decomposition and stabilization of the waste. Methane produced will be used to generate electricity from this renewable energy source. After January 31, trees placed curbside need to be cut into four-foot lengths and bundled. Drop-off locations: Christmas trees can also be dropped off at the Capen Park Mulch Site (south of Stadium, off Rock Quarry Road) OR the Parkside Mulch Site (north of Memorial Park Cemetery, off Creasy Springs Road). ALL lights, ornaments and stand must be removed prior to deposit at these two sites. For more information, call the Public Works Solid Waste Division at 573-874-6291 or send an e-mail to waste-mgmt@GoColumbiaMo.com. Raymore, MO Boy Scout Troop 427 Christmas Tree Recycling - January 3rd, 2015; Contact David at 816-898-0923 to schedule pick up of your live Christmas tree. Pick between Saturday Dec 27th & January 3rd. City of Raymore Park House, 909 S Main Street, Raymore, 64083. $10.00 Per tree pick up service. Proceeds Benefit Boy Scout Troop 427. Scouts will strip the tree branches for the City of Raymore to use as mulch. The Scout Troop will use the trunks for the tree as firewood throughout the year. Making the full tree Recycled. Harrisonville - Town & Country Disposal, 22820 S. 291 Hwy., Harrisonville, Missouri, 64701, (816) 380-5595. Crystal City Municipal Park in Crystal City. Designated drop areas for your tree will be marked. For more information on these and other programs, please contact us at the Jefferson County Parks and Recreation Department at 636-797-5334 or by email at cluetkemeyer@jeffcomo.org . $5.00 Per tree drop off service; $10.00 Per tree pick up service. Smithville - Little Platte Park, Smithville Lake, 16311 DD Hwy, Smithville, Missouri, (816) 407-3400. No fees apply. Trees will be recycled into mulch, which will be made available to City residents. Contact: (314) 647-3111, Monday to Friday 8 am to 4:30 PM. Springfield residents are reminded that Christmas trees are not accepted at Missouri landfills. 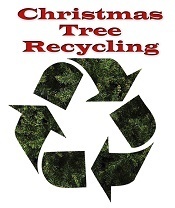 Several options are available for recycling this year's trees, however. See this page for the most current information . Bass Pro will accept trees at the fenced area at the northwest end of the Bass Pro Shops Outdoor World parking lot directly behind the store at 1935 S. Campbell Ave. Dates accepted: December 26-Jan. 1, 2015. Hours: from 12 pm to 6 pm daily Fee: $2 per tree donation; benefitting the Boy Scouts Uses: Trees are used to provide wildlife habitat for rabbits, quail and song birds. Special instructions: Remove all icicles, ornaments, tree stand and no flocked trees accepted. For more information, contact: Larry Whiteley, 830-9023. Wickman's will accept trees at 1345 S. Fort Ave., in Springfield and at 10791 U.S. Hwy. 60 in Monett. Dates accepted: December 26-Jan. 31, 2015. Hours: (Springfield) Monday-Friday 8 a.m.-6 p.m.; Saturday; 8 a.m.-5 p.m.; Sunday 10 a.m.-5 p.m. (Monett) Monday-Friday 8:30 a.m.-5:30 p.m.; Saturday 8:30 a.m.-5 p.m.; Sunday Noon-5 p.m.
Fee: $5 per tree at both locations; proceeds donated to The Kitchen. Uses: Trees will be ground into wood chip mulch, which is available for free. Bring your own container. Special instructions: Remove all icicles, ornaments, tree stand, plastic bags, and no flocked trees accepted. For more information, contact: 862-3707 (Springfield); or 235-1112 (Monett) or visit http://www.wickmans.com. 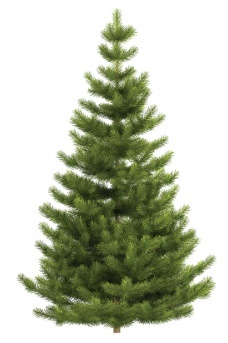 The Yardwaste Recycling Center will accept Christmas trees year round. Directions: West on Sunshine (U.S. Hwy. 60); south on Farm Road 115; left on Farm Road 164. Follow signs to the Yardwaste Recycling Center. Dates accepted: Year round. The Center will be closed on December 25 and Jan. 1, 2015. Hours: 8 a.m.-5 p.m., Tuesday-Saturday; closed Sundays and Mondays. Fees: Donations are accepted; the brush recycling fee of $4 will be waived for residential Christmas trees through Jan. 31, 2015; otherwise, the $4 gate fee will apply. 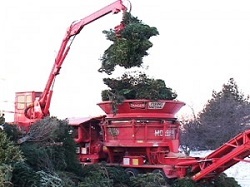 Existing commercial fees will apply to commercial loads, including Christmas trees. Special instructions: Remove all icicles, ornaments and tree stand. For more information, contact: Recycling Hotline, 864-1904. Note: Trees are not accepted at the Franklin and Lone Pine Avenue recycling centers. For more information, contact: Barbara J. Lucks, Sustainability Officer, Sustainability Division, Department of Environmental Services, 864-2005.